The last installment of the Hunger Games movie franchise is upon us and Entertainment Weekly is paying tribute to the movie in their latest issue. The last flick in the series, The Hunger Games: Mockingjay Part 2, opens in theaters November 20. 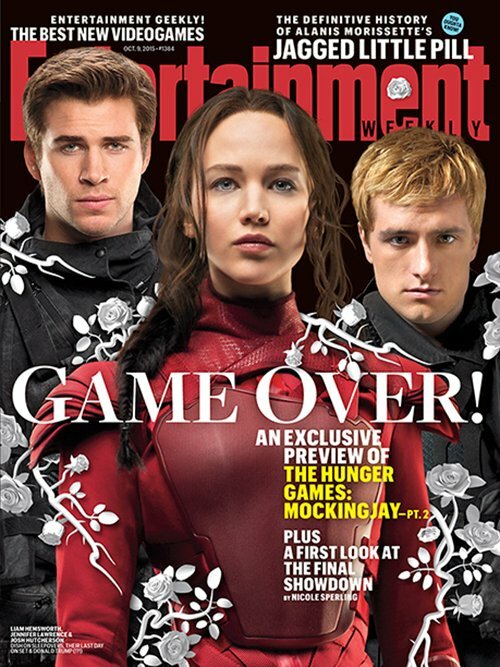 EW is featuring Jennifer Lawrence, Josh Hutcherson and Liam Hemsworth on the latest cover. 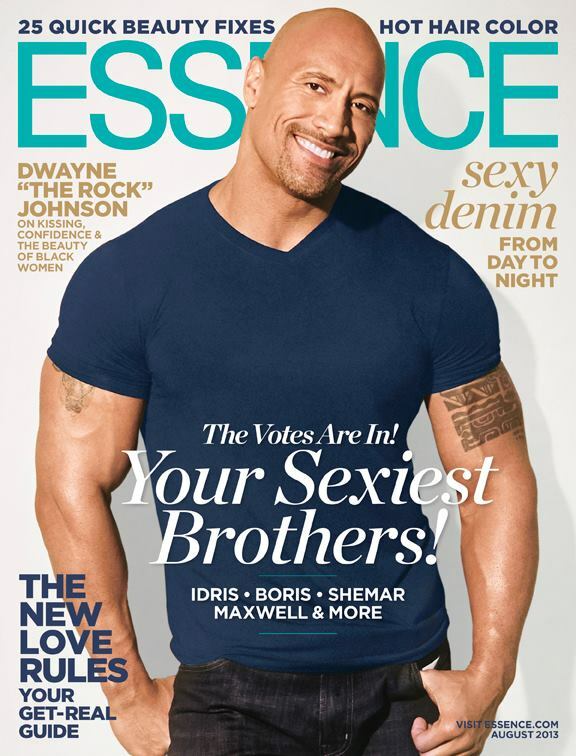 Dwayne Johnson flashed his million-dollar smile on the new cover of Essence magazine. Johnson’s show The Hero has been a hit with fans and he has been hitting the gym hard as he film the new Hercules movie. The actor-wrestler spoke with Essence ‘s senior writer Jeannine Amber on what he wants in a woman, what he loves about Black women and much more. “…..engaging in good conversation” is essential in a healthy relationship, but “embracing the power of kissing” doesn’t hurt. For more with Johnson, pick up the August issue of ESSENCE now. Naomi Campbell wowed the crowd when she walked the red carpet at The Beaver premiere at the Palais des Festivals during the 64th Cannes Film Festival on May 17. Campbell wore a burgundy gown from Azzedine Alaia‘s Fall 2011 Collection . What makes this dress pop is the layered & ruffled skirt that swept the ground as Campbell walked. The supermodel kept her accessories to a minimum, by only wearing a pair of gold earrings, a bracelet and a ring. She looked stunning to say the least. A few weeks ago, we showed you the character posters for the movie For Colored Girls Who have Considered Suicide When the Rainbow is Enuf. Now, thanks to Movieline, we have the official movie poster. For Colored Girls opens on November 5, 2010. I never saw the first one, but here is the trailer for the second installment of Why Did I Get Married. This time around, it’s called Why Did I Get Married Too. Not a Tyler Perry fan, but for those of you who are, enjoy!